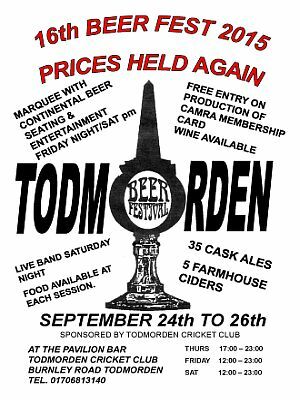 The beer festival at Todmorden Cricket Cup gets underway tomorrow and that's when the West Yorkshire Clarets will be there. I believe, as always, they are sponsoring a barrel. The meeting will commence at 7:30. There is a small charge on the door so no subs will be collected on this occasion. For anyone who doesn't know the location of Todmorden Cricket Club, it is situated on Burnley Road, just a few minutes' walk from the town centre on the left hand side. Sunday is walking day. The meeting place is Steeton and Silsden Railway Station car park between 11:15 and 11:30 a.m. Families and pets, if they are up to the walk, are welcome and there will be a revision of the route, to shorten it in case of poor weather. If you want more information of the walk or if you intend going, can you please EMAIL West Yorkshire Clarets. It will help them enormously if they know who to wait for at the starting point.